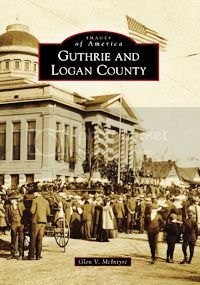 Guthrie As The Capital — "We Wuz Robbed"
I'm very pleased to present the guest article below which was written and assembled by Glen V. McIntyre based upon content in his new book, Guthrie and Logan County (Arcadia Publishing 2011). Click on either Mr. McIntyre's photo or the book cover image for larger views. 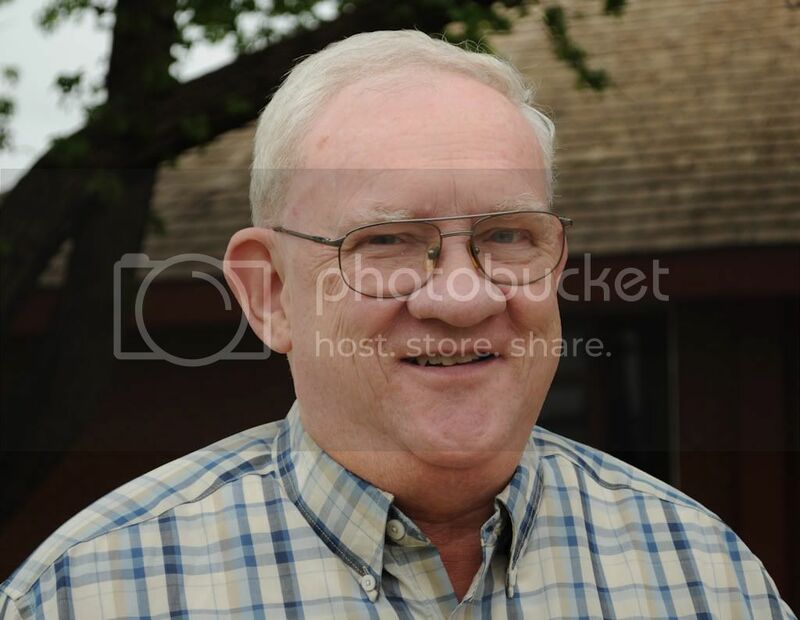 Mr. McIntyre recently retired as archivist at the Cherokee Strip Regional Heritage Center in Enid, Oklahoma. He has family ties to Logan County and spent much of his youth visiting Guthrie and eastern portions of the county in particular. Although I've not seen the whole book yet, the parts of it that I've reviewed on-line are exceptionally well done and I'm looking forward to owning a copy — it presents very significant information relevant to Oklahoma City history in the past as well as in the present (Logan County being part of the present day Oklahoma City metropolitan area defined by the federal census). Other than formatting and the addition of a few links and a wee bit of punctuation, the text below is almost exactly as was submitted to me — although, originally, I was sent two articles and I've combined them into one piece. Heck, but for events described in this article, Oklahoma City might arguably have become a part of the Guthrie metropolitan area instead of the other way around! Who can say for sure? In this article, Mr. McIntyre presents the historic rationale underlying why Guthrie might say, "We wuz robbed," (even if Oklahoma Citians might lay the same claim for not being named the territory's capital in 1890, but that's another story). Regardless, this is not only a story about Guthrie, it is a story about Oklahoma City, as well. Without much further comment, other a bit of an introduction and some additional references at the end, read on and enjoy the story! Part 1 describes some history of the Unassigned Lands Land Run of April 22, 1889, and how and why Guthrie became the territorial capital of Oklahoma Territory which initially consisted only of parts of what would become Logan, Kingfisher, Cleveland, Canadian, and Oklahoma counties, and the Oklahoma Panhandle (which was not part of the Land Run but which was part of the initial Oklahoma Territory), and by the time of 1907's statehood, the initial capital city of Oklahoma. Part 2 presents some inside history about how it happened that Guthrie lost its pinnacle status. Part 3 presents some internet links for further reading about this fascinating period of Oklahoma history. The central part of Oklahoma, typically called the "Unassigned Lands," was opened by the Land Run of April 22, 1889, and this area included the towns of Kingfisher, Oklahoma City, Guthrie, Yukon, and Norman, and it included most but not all of what would eventually become Kingfisher, Oklahoma, Logan, Canadian, and Cleveland counties. Sometimes, this area is called, “Old Oklahoma.” The original laws opening the land to settlement did not have any provisions for a territorial government, or for the organization of towns, so each town formed its own government and lobbied the Federal Government to organize the area into a Territory. The Organic Act called for Guthrie to be the Territorial Capital until the Territorial Legislature met to decide otherwise. Two other cities wanted the capital very badly-Kingfisher and Oklahoma City. Kingfisher was the location of the second of the Land Offices where settlers in the western part of the Unassigned Lands went to register their claims. Only a mile west of Kingfisher was the Cheyenne and Arapaho Reservation which would be opened to settlement sometime soon, making Kingfisher more centrally located for a capital. Oklahoma City already looked to be the financial center of the new Territory and was anxious to become the Territorial Capital and hopefully, after that, the State Capital. Stakes were high and on August 27, 1890, the Territorial Legislature met in Guthrie. The lower chamber was called the House of Representatives and the Upper Chamber was called the Territorial Council. Delegates from Kingfisher and Oklahoma saw that they did not have enough strength in the legislature to win on their own, so they made a deal. The men from Kingfisher agreed to vote for Oklahoma City as capital, the first time it came up for a vote. If, for some reason, that was not successful, the legislators from Oklahoma City agreed to vote for Kingfisher as the capital. And so it played out. With their votes combined, Kingfisher and Oklahoma City voted for Oklahoma City to become the Territorial Capital. Then the delegates from Kingfisher played dirty. They went to the first Territorial Governor, George Washington Steele, a career politician from Indiana, who did not know the deals that had been made. People from Kingfisher presented a petition to Governor Steele asking him to veto the bill making Oklahoma City the capital. This pressure, combined with lobbying from the people wanting Guthrie to be the capital, was enough to cause Steele to veto Oklahoma City as capital. 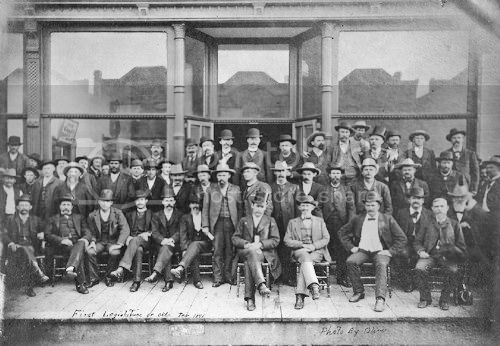 Then the delegates from Kingfisher approached the delegates from Oklahoma City and said, “You promised to vote for us if you failed to become capital.” The people from Oklahoma City did not know the double dealing of the people of Kingfisher, and so voted with the representatives from Kingfisher to make Kingfisher the Territorial Capital. That’s why you will hear some people from Kingfisher say that the town was Territorial Capital for a couple of weeks. What actually happened was that it did not take long for someone (presumably someone from Guthrie) to go to Governor Steele and tell him what had happened. On November 10, Governor Steele then vetoed the bill making Kingfisher the Territorial Capital, leaving Oklahoma still without an official Territorial Capital. Thus the capital remained Guthrie by default. Governor Steele’s wife had never liked the raw new territory of Oklahoma, and so he resigned and left to go home to Indiana. His successor as Territorial Governor, A.J. Seay, who was from Kingfisher and so presumably would be expected to renew the push for Kingfisher to be the Territorial Capital. He discovered that was not possible. The Territorial Legislature had somehow forgotten to pass a bill calling for regular elections. So Governor Seay made a deal that he would not bring up the subject of moving the capital if they voted to allow themselves to have elections. So, Guthrie remained the Territorial Capital for all of the territorial period. Guthrie then was the first State Capital until the first State Governor, Charles Haskell, decided to move the capital away from Guthrie because of his feud with a newspaper editor, Frank Greer, but that is the story of Part 2, below. For a variety of reasons (see Part 1, above), Guthrie had remained the capital of the Territory of Oklahoma since its beginning in 1890. The people of Guthrie naturally hoped that this situation would continue once Oklahoma became a state. However, party politics and a feud between two men determined otherwise. 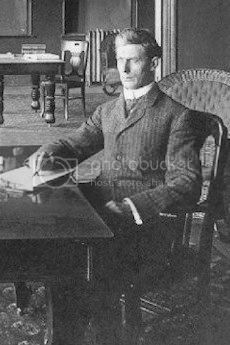 The first of the two men was Frank Hilton Greer (1862-1933). He established a newspaper in Guthrie, one of the first newspapers in Oklahoma territory, the Daily State Capital. In those days, newspapers did not pretend to be objective, but strongly supported one party or the other. The Daily State Capital strongly supported the Republican Party. 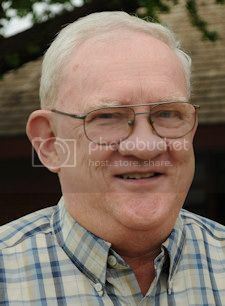 The newspaper which opposed him and strongly supported the Democratic Party was the Guthrie Daily Leader run by Leslie Niblack. On June 16, 1906, President Theodore Roosevelt signed The Enabling Act which created the mechanism for Oklahoma to become a state. Oklahoma would be divided into districts to choose delegates to a Constitutional Convention which would meet at Guthrie to write the basic foundations for a new state. Once the constitution had been written, there would be an election to approve the constitution and at the same time there would be elections for Governor and congressmen. As it turned out, only 12 of the 112 delegates to the Constitutional Convention were Republicans. They were nicknamed the twelve apostles. So, the state was strongly Democratic from the beginning. On September 17, 1907, the Democratic candidate for Governor, Charles N. Haskell (1860-1933) was elected Governor by a margin of over thirty thousand votes. Haskell had been born in Ohio where he first practiced law and then became involved in construction and building, especially of railroads. Haskell moved to Muskogee, Oklahoma in 1901 and was very active in developing that town into a hub of commerce for eastern Oklahoma. 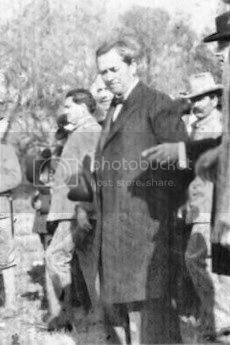 In 1905 he served as a delegate to the Sequoyah Constitutional convention, an unsuccessful attempt to bring in eastern Oklahoma as a separate, Indian State. In 1906 he was elected a delegate to the constitutional convention at Guthrie and was majority floor leader of the Democratic Party. Oklahoma became a state on November 16, 1907, with Guthrie as the state capital. Once Governor, Haskell enthusiastically endorsed many of the populist policies which the Democrats had written into the State Constitution. Unfortunately, he also enthusiastically adopted the Democratic party’s policy of segregation. That’s when Frank Greer started to attack Haskell in his editorials. Haskell had some dirty laundry connected with the building of railroads which made him vulnerable to Greer’s insinuations. So, there was no love lost between the two men and, by 1910, Haskell determined to move the State Capital to a friendlier environment, Oklahoma City. The Enabling Act stated that the state capital would remain at Guthrie until 1913 and thereafter be located at a site chosen by a statewide election called by the legislature. Haskell decided to move things along more quickly. The new state constitution allowed an initiative petition to call for a statewide vote on a particular subject. So, representatives from Oklahoma City circulated a petition calling for a statewide election to select either Oklahoma City, Guthrie or Shawnee as the state capital. Presumably Shawnee was presented as a third alternative to split the anti-Oklahoma City vote. Because the filing of the petition was not publicly announced for six days – one day after the official protest period had ended – people were not able to protest this petition. Thus people from Guthrie claimed their rights had been violated and took Haskell to court. The Oklahoma Supreme Court ruled in Haskell’s favor and he issued a proclamation setting the date for the special election. The original proclamation had called for the election to be held on Tuesday, June 14, but Haskell had penciled in a date for the election to be held Saturday, June 11. Haskell probably changed the election day knowing the courts would be closed on a weekend and could not issue an injunction preventing the removal of the capital to Oklahoma City. 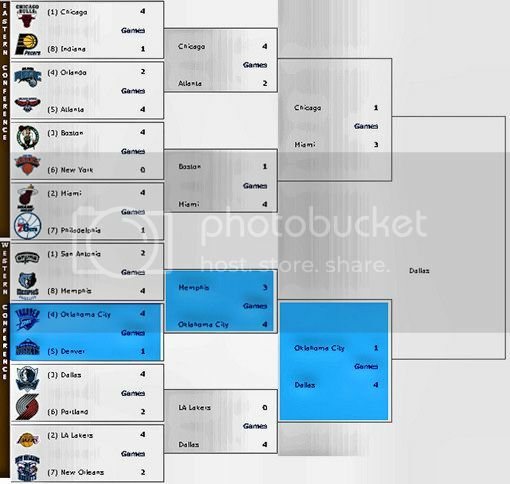 Evidently he was very confident that Oklahoma City would win. Oklahoma City did win. 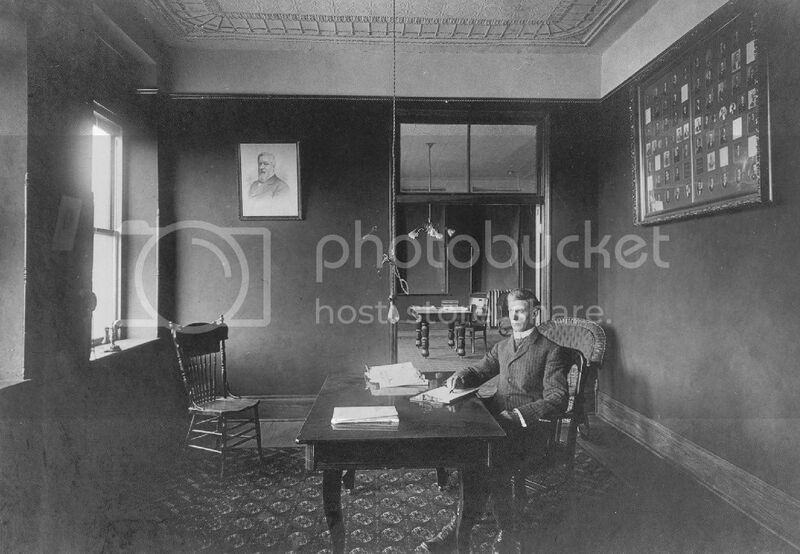 Haskell was in Tulsa the night of the election and called his private secretary to go to Guthrie on a special errand. W.B. Anthony went to Guthrie accompanied by Secretary of State, Bill Cross, and newspaper reporter, Luther Harrison. They drove to Guthrie by night to bring the state seal to Oklahoma City. Haskell met Anthony and Cross at 6:00 a.m. the morning of Sunday, June 12, at the Lee-Huckins Hotel in Oklahoma City. There, Haskell declared Oklahoma City to be the State Capital with rooms in the Lee-Huckins hotel to serve as the first state offices. Guthrie naturally fought back in the courts, arguing that the Enabling Act had called for the State Capital to remain in Guthrie until 1913. Eventually the case worked its way up to the United State Supreme Court which ruled that once a Territory became a State, it was sovereign and could decide for itself where the capital city would be. Property values in Guthrie fell by around 80% once the capital had been moved. Frank Greer moved to Tulsa in 1911 where he was active in real estate and oil investments. Guthrie citizens, to this day, say they were robbed. For an outline of the lives of Frank Greer and Charles Haskell, consult the entries on them in the online Encyclopedia of Oklahoma History and Culture. 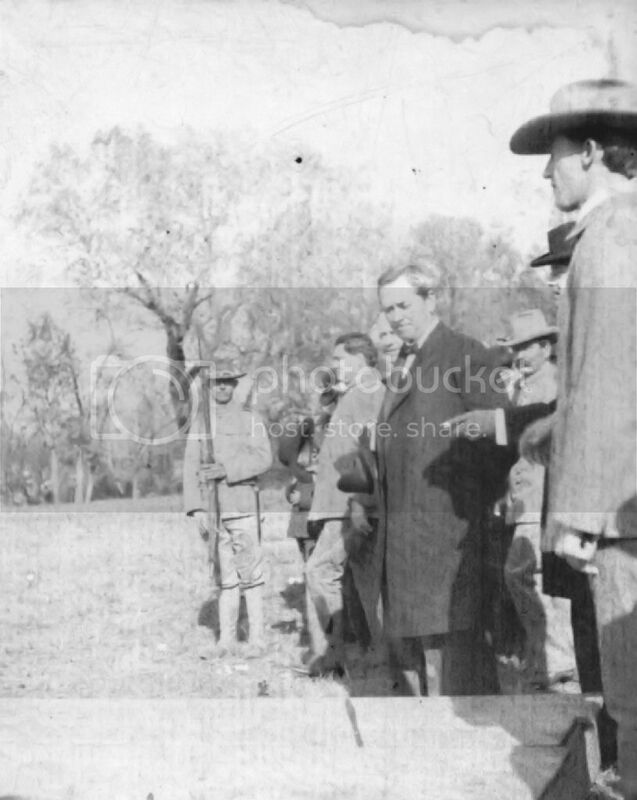 For a detailed narrative about Charles Haskell as Governor see the article, Charles Nathaniel Haskell, 1907-1911 by James H. Howard II in the book, Oklahoma Governors, 1907 – 1929: Turbulent Politics, Edited by Leroy H. Fischer, published by the Oklahoma Historical Society in 1981. Additional Resources. To order Guthrie and Logan County from Arcadia and save 20% on the book, click on the book cover at the right and enter the code GUTHRIE at checkout. Also, see Dianna Everett, Encyclopedia of Oklahoma History and Culture, "George Washington Steele"; Dan W. Peery, Chronicles of Oklahoma, "George W. Steele, First Governor of the Territory of Oklahoma;" J.J. Compton, Encyclopedia of Oklahoma History and Culture, "Charles Nathaniel Haskell (1860-1933) "; Dan Peery, Chronicles of Oklahoma, "The First Two Years", versions available in this blog in HTML and PDF versions. ... with credit and much thanks to Exodus195 for the above great video after the team returned to Oklahoma City following their/our loss to Dallas in game 5 of the Western Conference Finals on May 25, 100-96. Could we have won it? Sure? Aren't we sad that we didn't? Sure. 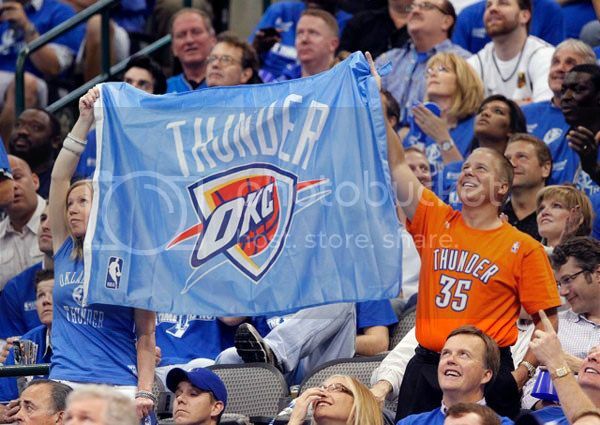 But we love these Thunder guys, and they love their Oklahoma City fans. 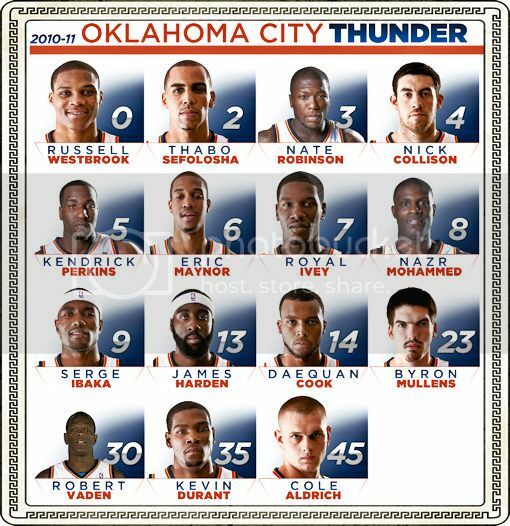 If you're an OKC Thunder fan, I triple-dog-dare you to watch the above video without crying like a baby. Have your tissues ready. What's not to like? After a regular season record of 55-27 (67.1%), the Thunder take out Denver 4-1 in the first round of the playoffs, then Memphis 4-3 in the Western Conference semi-finals. Yeah, it was hard to lose to the Mavs 4-1 in the finals. We ain't cryin' that we were only one of the four best teams in the NBA playoffs in 2011, though. And we went down fighting until the bitter end. ... but wait 'till next year ... 'cause we'll be back. All I can add is, "Amen, sister!"